The students of the school mock the teachers as “Monkeys” and marvel at the faculty’s stupidity and cluelessness -- pretty much like high school students everywhere -- but these particular students live during a strange and dangerous time. 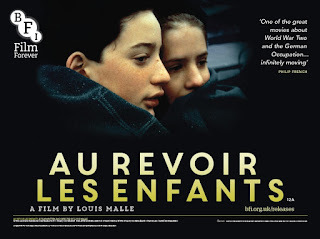 The school in Au Revoir les Enfants (1987), is in France during World War II when the French government collaborated with Nazi Germany. The boys are in a boarding school run by Carmelite Brothers. As often is the case, there is much more to the teachers than the students know. 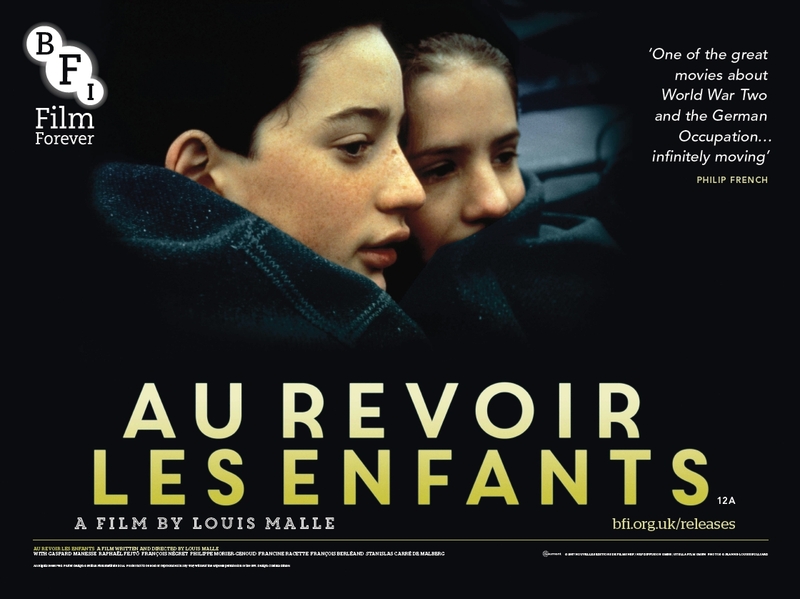 Au Revoir les Enfants is an autobiographical film written and directed by Louis Malle, one of the great filmmakers of the 20th century. Though the names were changed, Malle said this was a true story of what happened when he was a boarding student at the Petit College as a child in France. 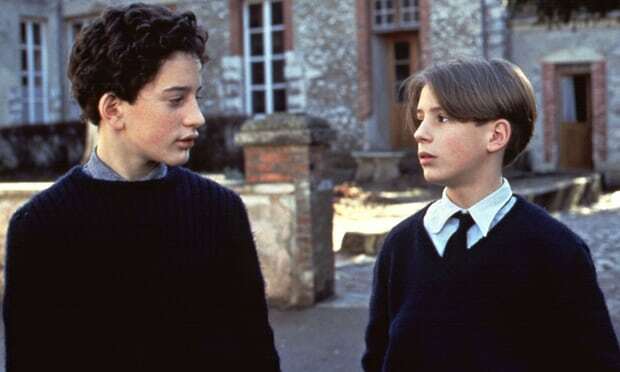 Julien Quentin (Gaspard Manesse) takes the place of Malle, as a young boy from a well to do French family (which is true of most of the students in the school). Julien would rather stay with his family, but his mother says, “You know I can’t keep you in Paris with me.” He’s still young enough to respect the Brothers and their teachings, but his older brother is cynical about the priests (he, like many of the older students, calls the Monks “Monkeys”). Julien becomes friends with Jean Bonnet, a new student brought into the school by the priests. Jean is Jewish, but the priests keep this quiet, of course. Jean claims to be Protestant which explains why he doesn’t participate in communion or confirmation. But Jean must still go to religion classes and chapel. The boys still have some fun at the school -- we see boys acting out battles from the Crusades on stilts, and even one of the priests joins the fun. The school stages an elaborate capture the flag type game in the woods, but Julien and Jean get lost and are out after curfew. They are picked up by German soldiers, which obviously frightens Jean, but they are safely returned. The students even get to watch movies; no one laughs harder than the priests when they watch Charlie Chaplin’s The Immigrant. Still, some things are forbidden in the school. Jean and Julien share and love books, particularly old novels like The Three Musketeers and Robinson Crusoe. But Francois, Julien’s brother, gives Jean a forbidden novel, Arabian Nights, which is rich in naughty bits that the boys read quietly by flashlight at night. Francois won’t take communion, claiming to have moved on from the superstitions of religion. The school teaches Thomas Aquinas’ evidences for the existence of God, which Francois disdains, saying, “They really don’t hold water.” He expresses his desire to join the Resistance, but he doesn’t. 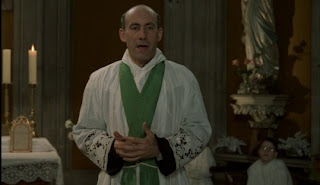 Of course, while Francois talks about resisting the Nazis, the priests are actually doing so by taking Jewish students into the boarding school. Francois mocks materialism, while the priests actually speak out against it to the rich and powerful. So, the Father Jean isn’t exactly timid in speaking to donors, and he does get some walk-outs. The food is scarce in war times, so the priests insist that students share the food they receive from home with other students. Julien and Francois are among the students disciplined for not sharing, but a poor kid who works in the kitchen is disciplined much more severely for stealing food. He is fired. In vengeance, he tells the Nazis about the Jewish students. Soldiers come and arrest not only the Jewish students, but some of the priests, including Father Jean. Francois realizes that the priests have been taking action against the regime all along, while he just talked about taking action. As Father Jean is led off by the soldiers, he calls out the title, “Au revoir les enfants” (Goodbye, children). The real Father Jean was imprisoned and died in Mauthausen. No greater love can be shown, which is why the brothers of St. John of the Cross receive the highest rating of 4 Steeples.